Last November I blogged about our work on new nuclear power stations and my team of nuclear regulators who are assessing the reactor designs. We are working closely with the Office for Nuclear Regulation (ONR) and Natural Resources Wales (NRW) to ensure that any new nuclear power stations built in the UK meet high standards of safety, security, environmental protection and waste management. In December we launched a consultation asking for views on our detailed assessment of Hitachi-GE’s nuclear power station design. You’ll be familiar with the companies Hitachi and GE through their technology products and services. Together, as Hitachi-GE Nuclear Energy Ltd, the company is a major provider of nuclear technologies and has developed an ‘advanced boiling water reactor’ which it has used in Japan. It submitted its design to us in 2013 and since then my team has been looking at the environmental aspects of the design. You can find out more about the ‘Advanced Boiling Water Reactor’ design in Hitachi-GE’s short film. 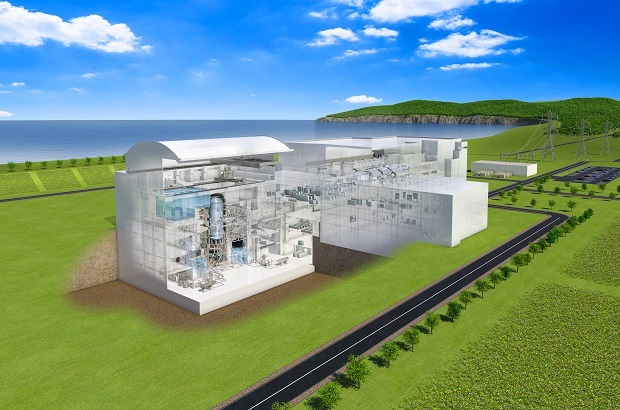 Horizon Nuclear Power are proposing to build and operate this design at its sites – Wylfa Newydd on the Isle of Anglesey and Oldbury-on-Severn in South Gloucestershire. If its plans are approved, the company say they will provide at least 5,400 MW of electricity, enough to power around ten million homes. Horizon has made a simple animation about how nuclear power is produced which is really useful if you don’t know the basics. Have a look at it. The consultation runs for 12 weeks until 3 March 2017. And, as a public consultation, we are keen to hear everyone’s views. We’ve publicised the consultation and contacted a wide range of stakeholders including the energy industry, academics and NGOs. 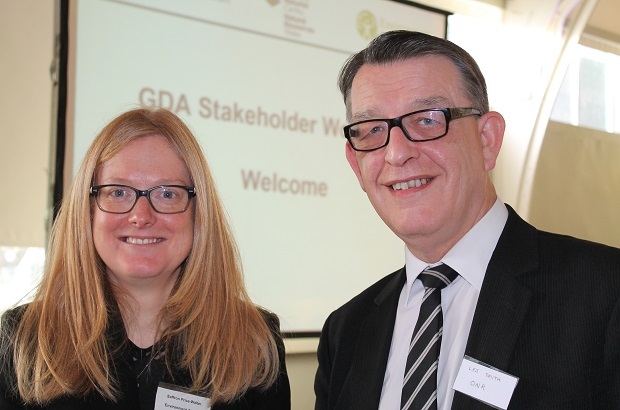 This week we held a national stakeholder event in Birmingham. Attendees saw presentations from my team, ONR and NRW and had the opportunity to ask both the regulators and Hitachi-GE about the nuclear power station design. I’m really pleased with the range of questions and interest in our work and I encouraged the attendees to go online and put their views and questions into our e-consultation tool so we can consider relevant views as part of our formal response. We’ll also produce a report of the day including the presentations and note of discussions. Our assessment is based on a ‘generic site’ and it’s important that we explain what this means and consider the views of people where the design could be built. Horizon Nuclear Power propose to use the design at Wylfa and Oldbury so I’m taking my team out to these areas to meet local people and help them understand our work and how we and NRW will regulate any new nuclear power station. In February we are meeting with invited local stakeholders near Oldbury power station and, on 8 February, we are holding a public drop-in at Turnberrie’s community centre in the centre of Thornbury, South Gloucestershire. We’ll be there from 2pm until 8:30pm. If you are local or live across the Severn in the Forest of Dean or Wye Valley, please come along and ask us a question about our assessment of the design and find out how we regulate new nuclear power stations. So what do the Environment Agency do for us?